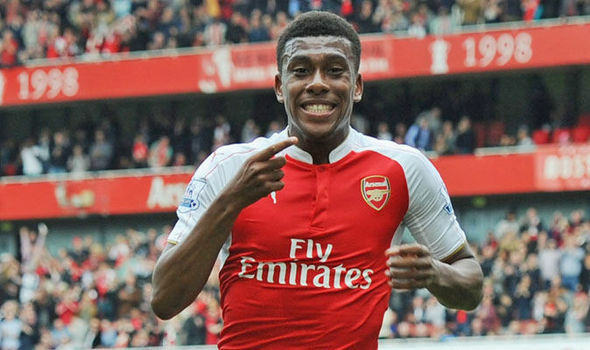 Former Super Eagles coach, Sunday Oliseh has tipped Alex Iwobi to be a major contender for the African Footballer of the Year Award after his scintillating performance against Burnley on Sunday. Iwobi has become an integral part of the Gunners team this season and he has made an appreciable impact most especially in matches against Chelsea in the Premier League and Paris Saint Germaine in the UEFA Champions League. With just a goal to his name this season, the Nigerian international is expected to be on duty for the Super Eagles against the Chipolopolo of Zambia in a 2018 FIFA World Cup qualifier in Ndola on Sunday, October 9. However, Oliseh who is a new consultant with FIFA, revealed in his twitter account that the Arsenal midfield could be a potential Africa Player of the Year.